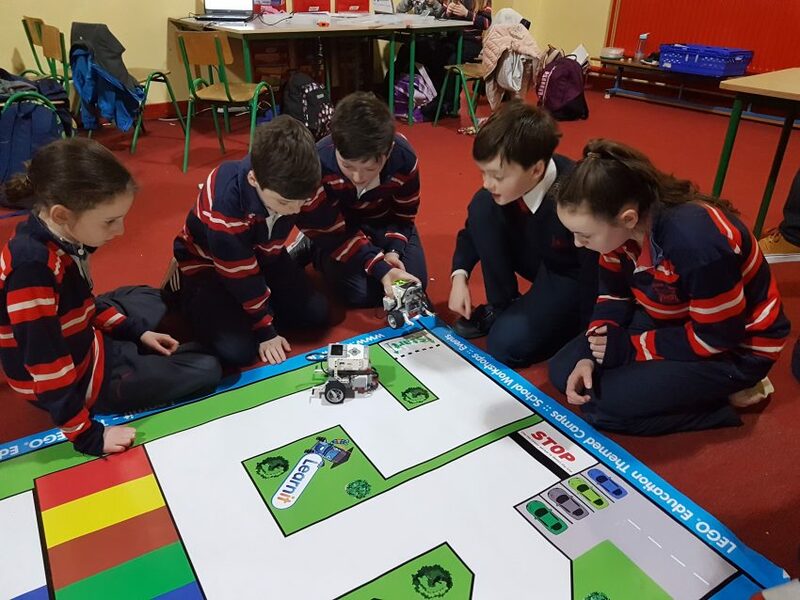 Roghnaíodh Rang V arís i mbliana chun páirt a ghlacadh sa Cheardlann Róbó a d’eagraigh Analog Devices ar an 2 Feabhra, 2018, faoi stiúiriú Learn It. 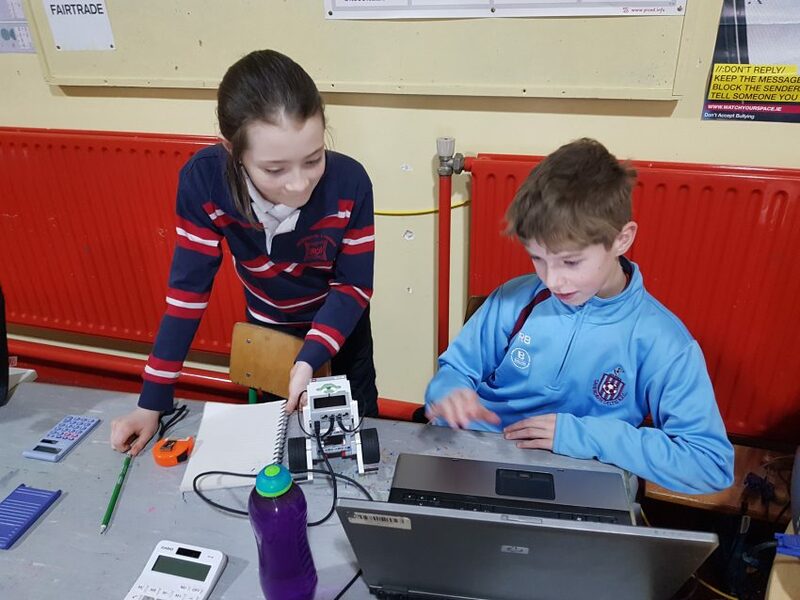 Tugadh an deis do na páistí róbó a dhearadh agus a dhéanamh. 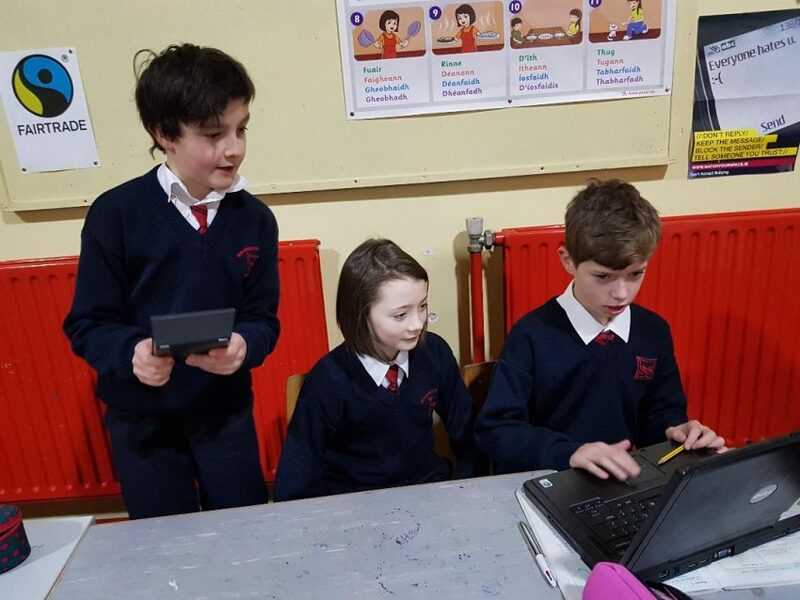 Roghnaíodh triúr chun freastal ar an dreas deireanach i Luimneach ar an 10ú Márta. 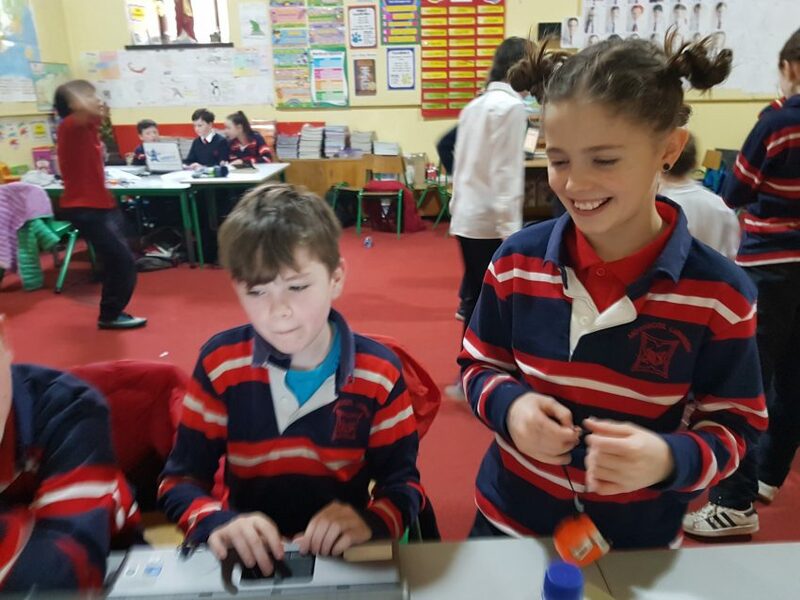 Bhaineadar uile taitneamh as an gceardlann agus bhíomar an-bhródúil astu! 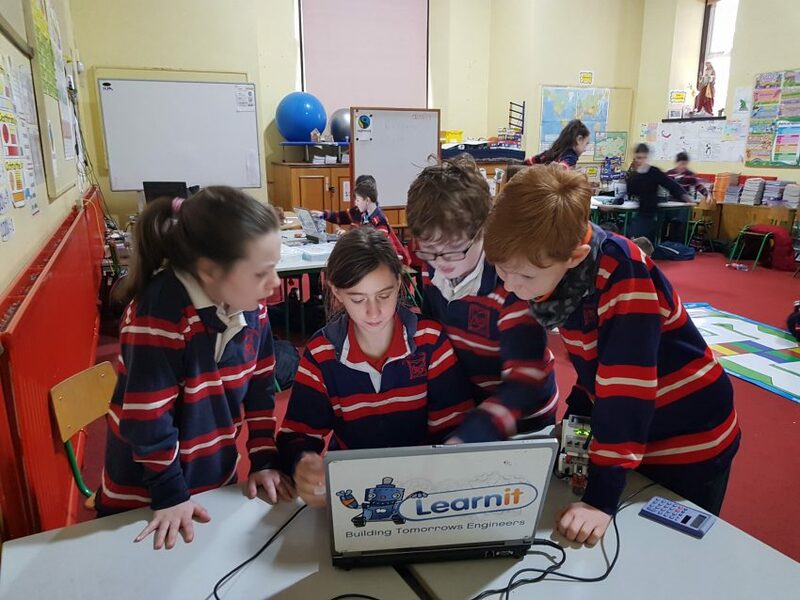 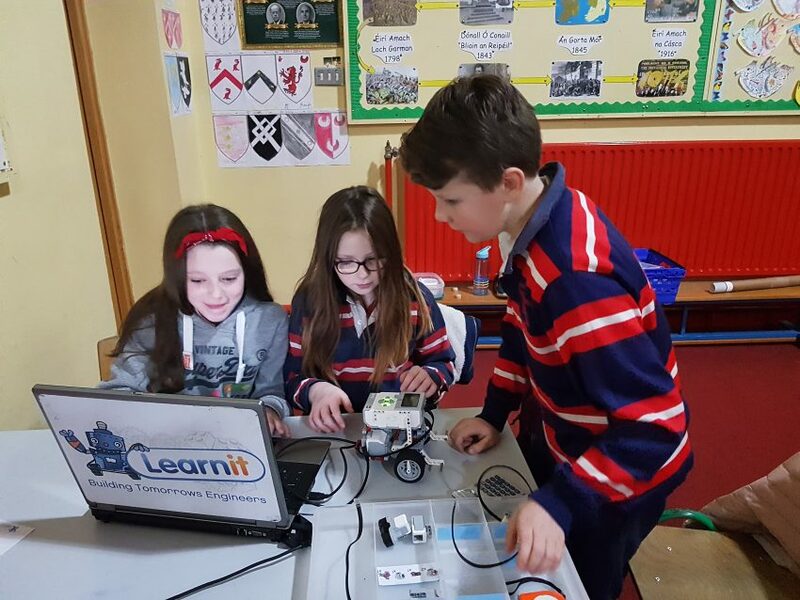 Rang V were again selected to take part in one of the Analog Devices sponsored Robotics Workshops on February 2nd, 2018, run by Learn It. 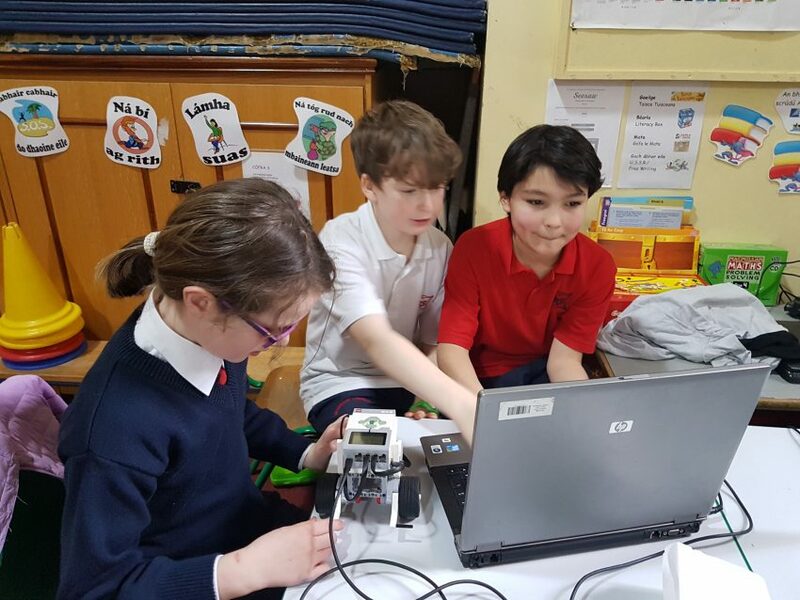 The children were given the opportunity to design, build and programme a robot. 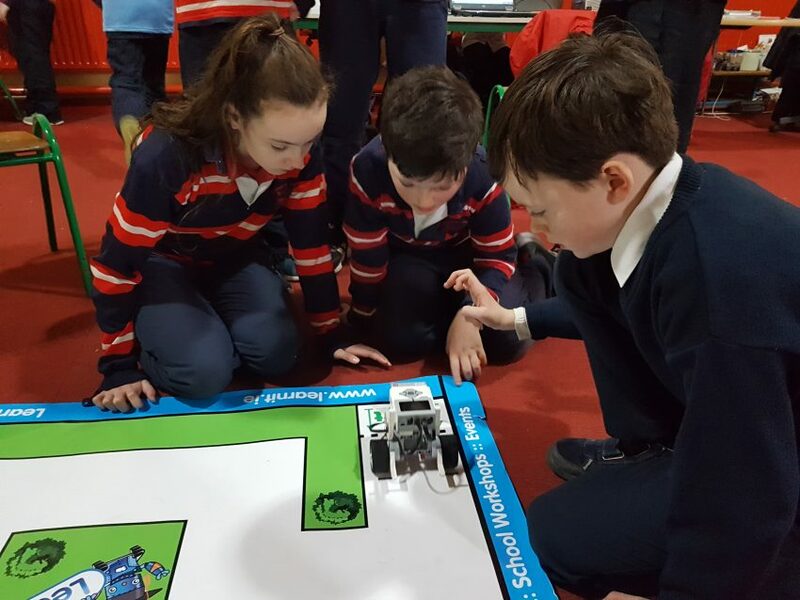 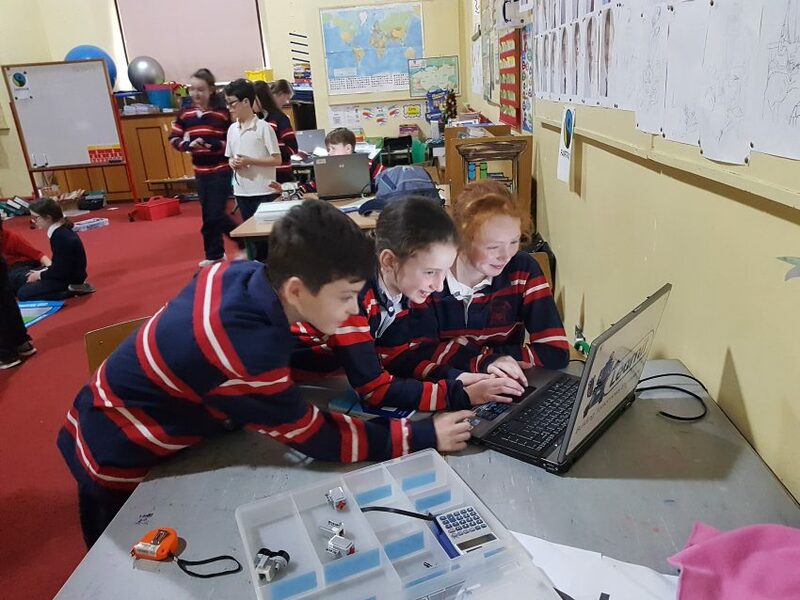 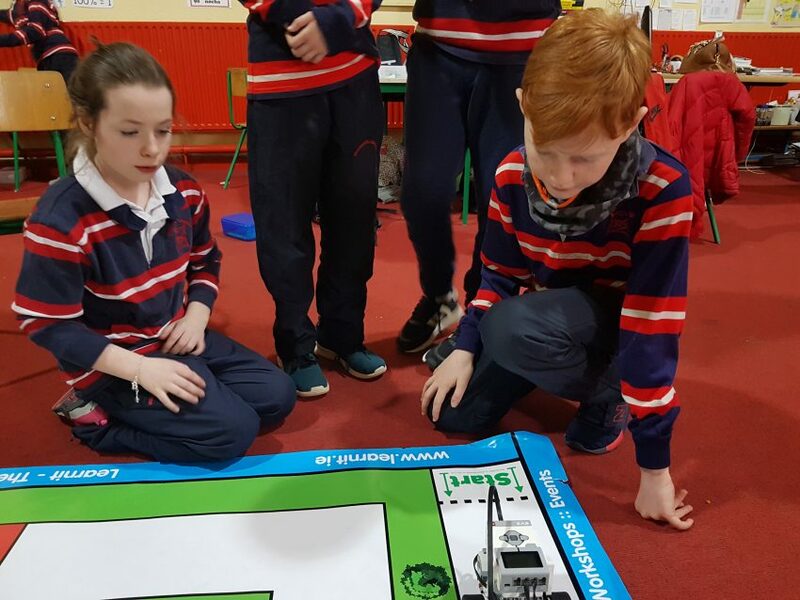 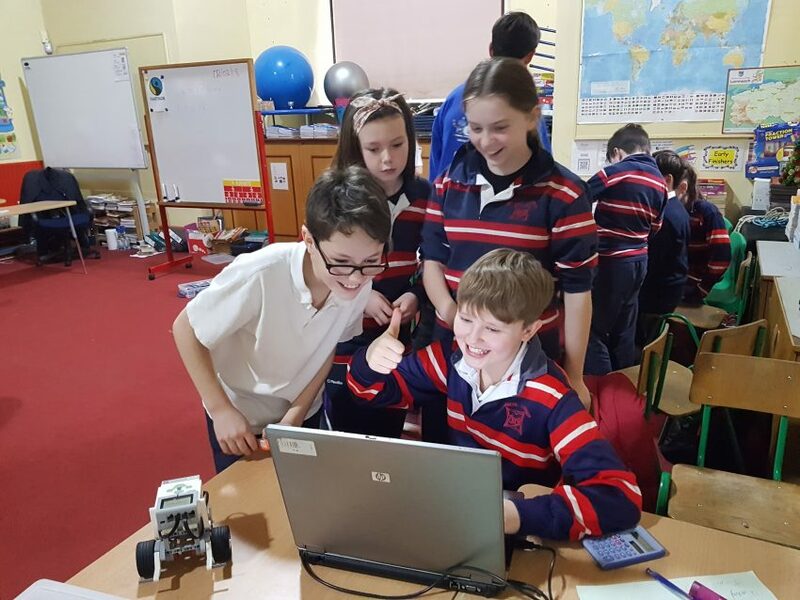 Three children were selected to attend the Limerick Robotics Final on March 10th. 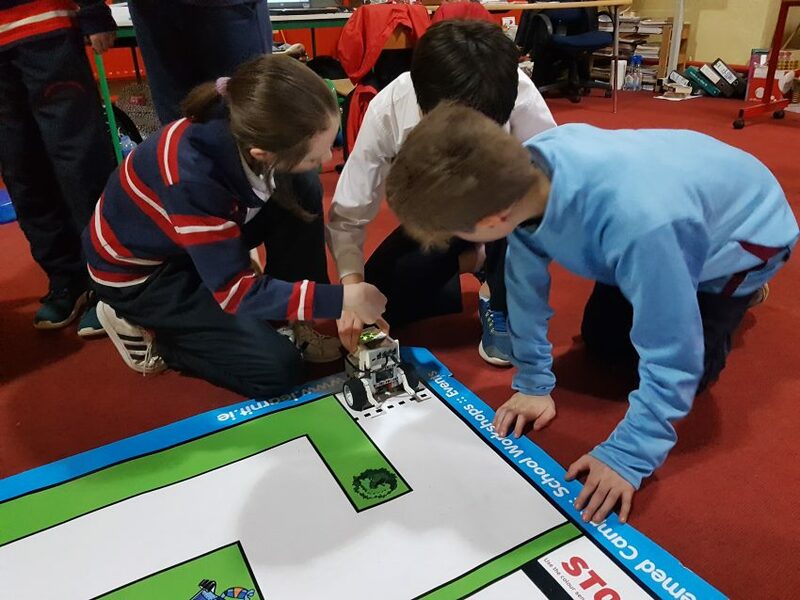 All of the students enjoyed the workshop immensely and did the school proud!